This topic is to share & list all Spinners vs. Monsters official sites to play the game, as well as related useful sites & information. 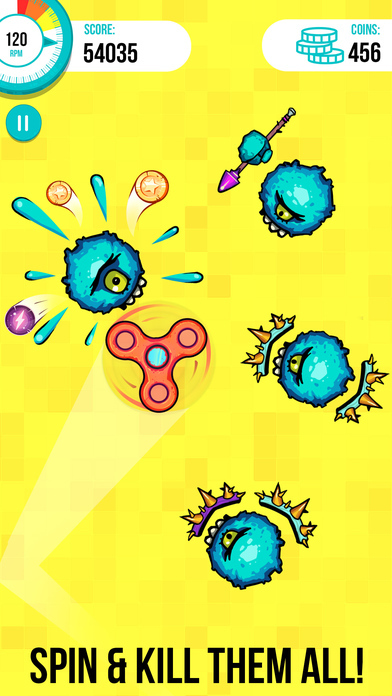 Here is the official Apple iTunes link for you to download and play Spinners vs. Monsters on iOS (iPhone, iPad, iPod), by Crazy Labs. 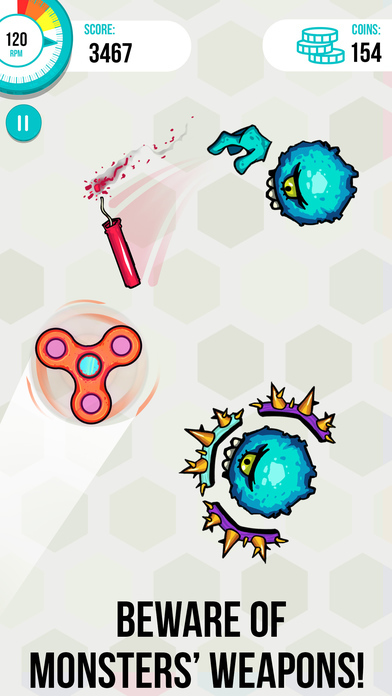 Screenshot 1: Spin and Kill Them All! Screenshot 2: Beware of Monsters' Weapons! 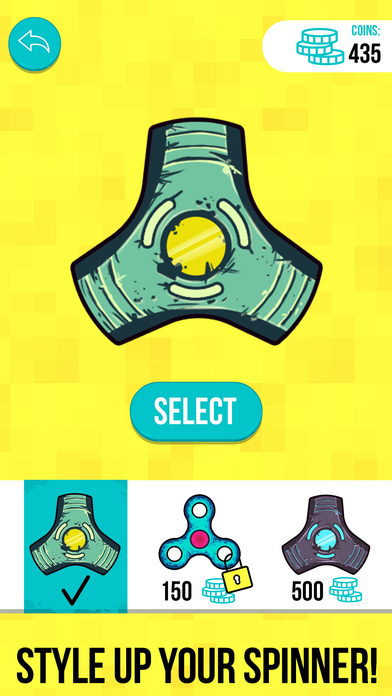 Screenshot 3: Style Up Your Spinner! Screenshot 5: Spin for your Life! Spinners vs. Monsters release date is on May 18, 2017, a Crazy Labs action game which you can download and play on mobile for Free, with storage space requirement of 229 MB. 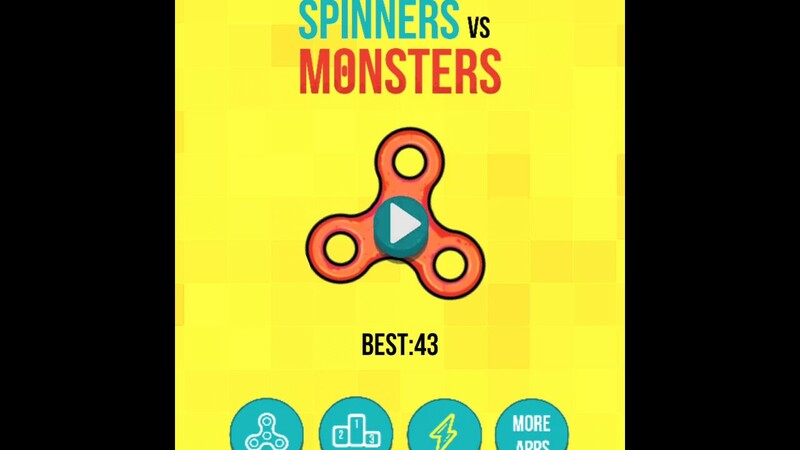 Top sellers in Spinners vs. Monsters game are no ads. 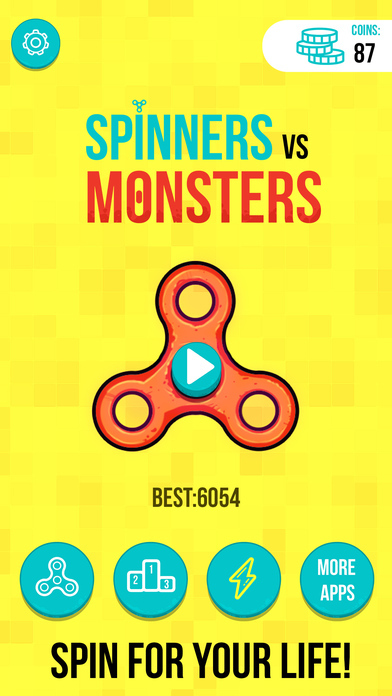 If you found other related official websites for this Spinners vs. Monsters game besides iOS like android apk, google play store, FB, Twitter, wiki, or other sites to download & play Spinners vs. Monsters, share with us in the replies below. You can also write your own description & review for this Spinners vs. Monsters game and share with us in the replies below. 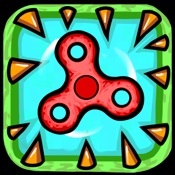 Though this game is obviously catching up with the "Fidget Spinner" trending toy, this spinners game actually has more actual gameplay compared to all the other cash-grabbing fidget spinner games. 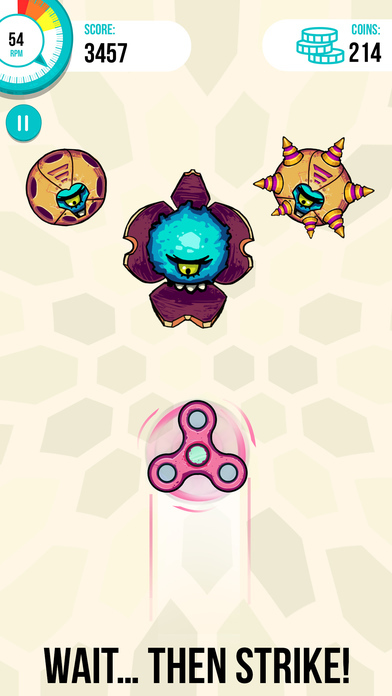 The gameplay is quite easy to master, you just have to kill those monsters while your spinners is spinning by just touching them. The challenge here is to avoid any spikes from the enemies, which is why sometimes you have to wait a while instead of brainlessly killing all the enemies using your spinner. Also, the RPM serves as your health, ranging from 0 to 100. When at 100, means that your spinner is at top speed with maximum health, but if you accidentally touch the spike, your RPM will go down, which indicates that your health is going down as so does your spinning speed. When RPM reaches 0 means game over, and you will have to start again or watch ads to continue playing for higher score. Overall, it's nice to try out since fidget spinner is so popular right now, but doesn't stay long on your mobile I guess.